On a gloomy Thursday morning we decided to take the time to get to know our Marketing manager, Anna Carthew a little better – not just on a business level, but a personal level too! So what exactly is your role at The Peloton? At The Peloton I make sure as many people as possible know how great we are! As well as spreading the word about The Peloton, I also help maximise our clients business’ by offering advice and guidance on marketing strategy and where to focus their attention. I’ve been here for just over 5 months and it’s great! What is your favourite thing about working at The Peloton? The team! Each person at here brings something different to the table and there’s a real respect between the group. 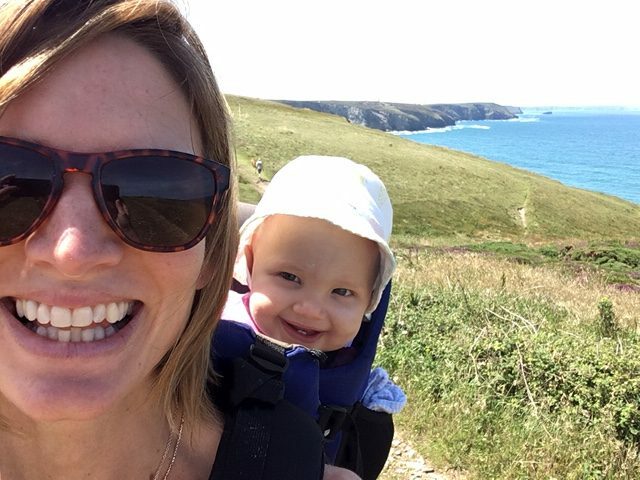 Everyone works hard whilst we are here but we also recognise the importance of life outside of the office – it’s a massive benefit to living in Cornwall! What is your top tip for making accounting easier? I will hold my hands up and say I actually don’t know a huge amount about accounting (more than I used to!) but having learnt about Xero I think it sounds like a no-brainer. I ran my own small business a while ago and I wish I’d known about it then! Outside of work I can often be found lounging on the deck of our boat on the Helford River, or building sand castles with our baby daughter. I absolutely adore living in Cornwall and working at The Peloton still offered me that ‘buzz’ that I was looking for. What is your favourite thing to cook for lunch? I made a lovely rice salad the other day. It was so easy – you just have to cook some wild rice, add chopped apricots, walnuts, kale and celery then dress with sesame oil, honey and soya sauce – yum! Where are your top five Cornwall places? That’s a tough question, as everywhere in Cornwall is beautiful! Probably The Helford River, Falmouth, Rame Peninsular, Minnack Theatre and Zennor. I met Prince Charles once! I was 6 and he came to reopen an old priory in our village. My dad tried to sell him a boat! Where was your most recent holiday? I often go to Norfolk as that’s where I’m from. I like to go back as much as possible. Do you have a preference in music? Completely eclectic but go-to is things like Passenger, London Grammar and Bon Iver. What’s your favourite part of your role at The Peloton? I love talking to clients and looking at their websites / Google analytics to see what can be improved – and then seeing the results. If you’re interested in talking about marketing strategy with Anna then contact her here.